Gemsoft Treasure is a powerful jewelry software with a fast and easy to use graphical environment running under the popular Microsoft Windows operating systems. How do you choose the right jewelry software for your jewelry business? You start your search on the internet, look at different jewelry software packages that are available and soon they all appear the same, right? We know how you feel as we do the same when we buy software packages for our own software development business. So we decided to let others do the talking for us from their own personal experiences regarding the jewelry software that they use on daily basis. After all those businesses and people had to go through the same process. They wanted a jewelry software program that managed their business , was smart and at the same time very easy to use. They got it when they chose our jewelry software and support services. You can too. Below read what some of our clients write about our Gemsoft Jewelry software, Sharpcatalog, service and support. 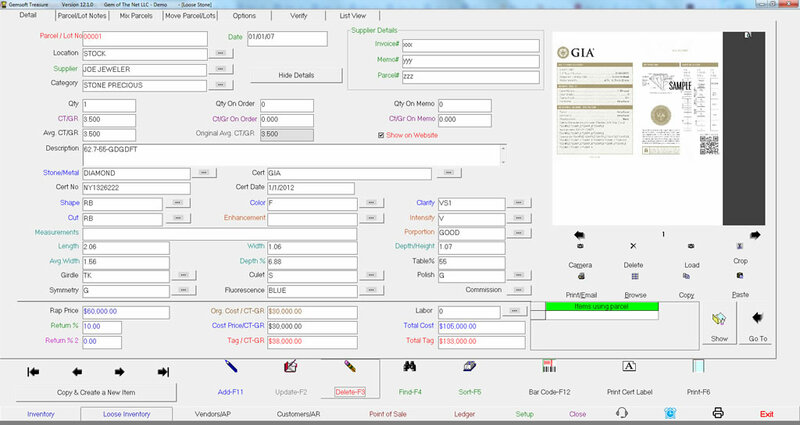 Have you been searching for an affordable true graphical Windows based program to fully manage every aspect of your Jewelry business. 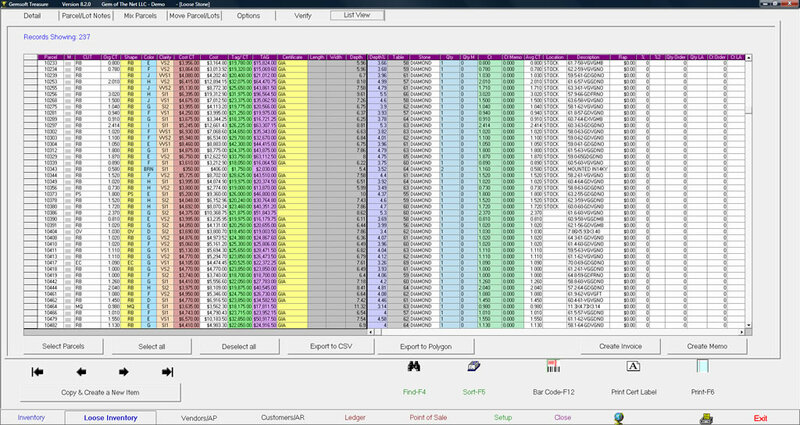 Inventory and bar-coding that is integrated with an accounting software. Has an extensive customer and vendor database and is also integraded with point of sale system? Gemsoft Treasure jewelry software does it all and makes it easy. With a fast and easy use graphical environment, taking control of your business has never been so easy. Gemsoft will really get your jewelry business automated. 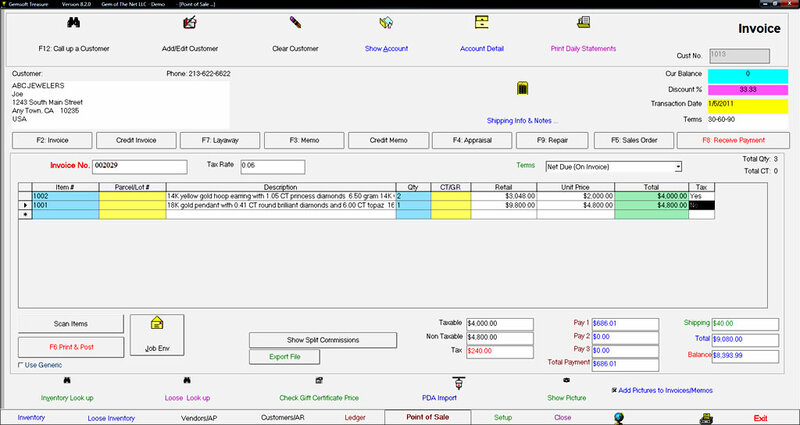 Using detailed inventory, customer, vendor, and invoicing forms, you'll be able to manage your business and quickly find just the product your customers are seeking Jewelry Software. 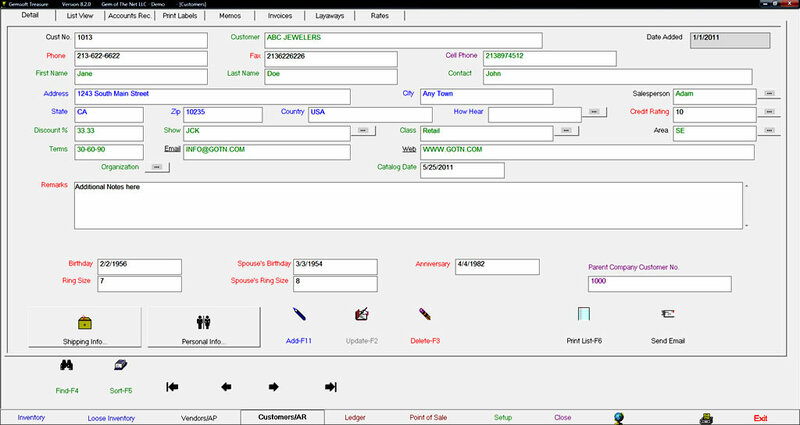 The software supports bar-code scanning for quick invoice creation; video capture and TWAIN scanners to illustrate the inventory lists; multiple printers for invoices, tags, labels, and routine printing; and catalog creation with the optional SharpCatalog module. The program handles inventory, customers, invoices, vendors, and point-of-sale (POS) details, with multi-field search capability in all the data tables. Sample data lets you experiment with the program features, and the multi-media tutorial CD, with audio and with video will teach you step-by step how to use the software. We heard what our customers were saying, we collected data from our customers and then created Gemsoft Treasure jewelry software. Just check out some of the great features you get with Treasure. With over ten years in the making, no other jewelry inventory program available today even comes close. Gemsoft Treasure has accomplished what other software companies said couldn't be done. Unlike some other Jewelry programs which only offer meager Inventory management and no Point of Sale features. Gemsoft Treasure provides you with all you need to run and manage your jewelry business. 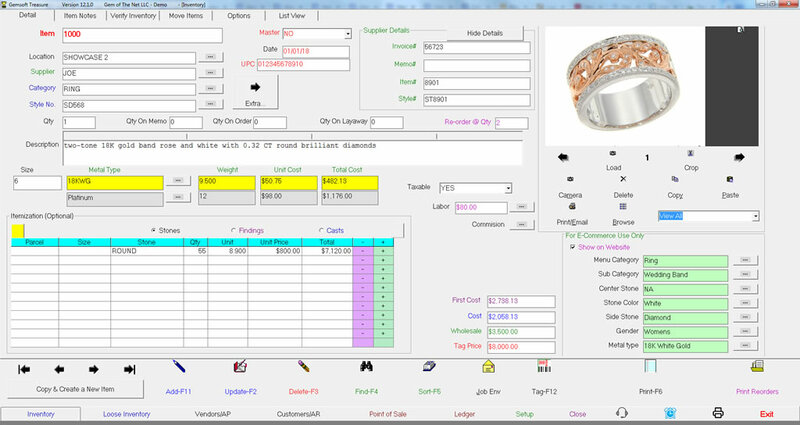 Retail store Jewelry software and wholesale jewelry business management. Gem of The Net, in addition to jewelry management software, specializes in creating unique, quality identities for businesses. We provide creative World Wide Web page designs, software, custom programming, fully automated order entry systems, customer inquiries, feedbacks, search engines, dynamic electronic catalogs and a full range of networking systems. Integrating your inventory software to your web site has never been easier! Let us create an eye catching custom web page for your company. Start Using the State of the Art System Today.